Peace of Mind Meets Best Practices. A support experience that will enable you to reduce risk, increase expertise and maxmize the benefits of your Oracle EPM and BI applications. Our Support Experience: Affordable, world-class deep knowledge available on-demand without compromise. Leverage our local and global expert support services to enhance the performance & value of your Oracle applications. Free up your key resources, reduce risk and keep in step with product change's with our best practice knowledge and expertise. Gain access to Qubix's knowledge zone to drive learning and development amongst your team. Qubix guaranteed response times are based on issue priority service level agreements. Ensuring that faults are not just papered over but are fixed to ensure long term performance and to avoid future recurrences. Learn from our experts in-person to ensure you maximize the value and benefit you recieve from your application or platform. Monthly report provides a statement of Support Unit's used and includes online access to all support incidents and resolutions. Gain access to Practice Leader's locally or globally for escalated system advice or incident resolution. To ensure that your applications are fully optimized we will complete a full health-check once a year. Our team's locally or globally can provide support to you via remote access, or on site if required. Pick A Support Plan That's Right for You. Pick a support plan that fit's your business needs and budget. Need a tailored support plan? No problem. We can personalize a plan that is right for you. Perfect for businesses who just want peace of mind. Perfect for businesses who may need to lean on us. Perfect for businesses who want a deep support partner. 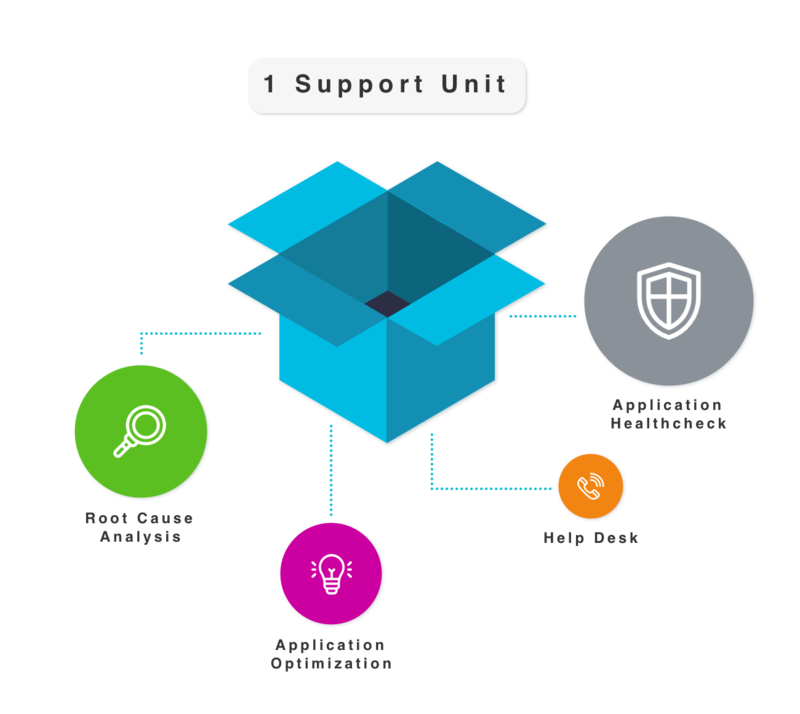 In addition to our standard support agreements, you can add support modules and adjust service levels to create a truely tailored support solution for your business needs. Get in touch with us today to discuss your businesses unique needs. Driving digital transformation at some of the world's smartest companies. Got A Question About Our Support? Got a question about our Support service? We anticipated some of your key questions and composed a straightfoward FAQ so you can get answers fast. Want a visualization of the support ticket workflow? We built a visual diagram that details every step in our Support process from ticket to resolution. Let's meet to discuss a support plan that's right for you and your business needs. We're happy to tailor a support plan that fits your service level requirements and budget targets. 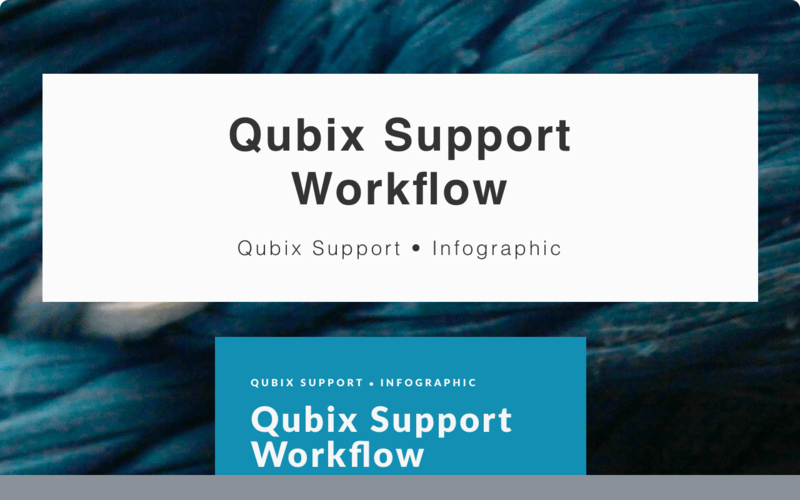 Get in touch with Qubix to learn more about how our Support plans and we will provide a formal quotation and propose next steps. Why not get in touch to learn more about our Support service? 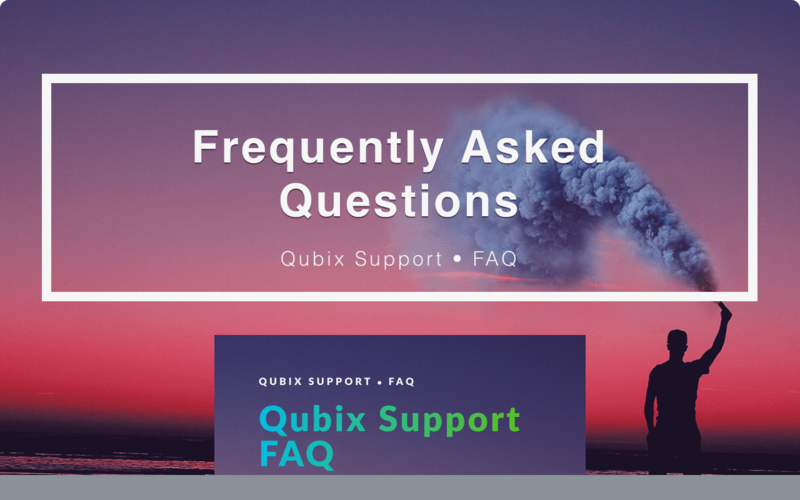 Already have support from Qubix and need to contact us?